The 2018 Cadillac CTS Sedan is a track-ready mid-size high-end vehicle with distinctive styling and unmatched performance. The standard model is equipped with the turbo four cylinder engine. But if you want more power, you should consider the V-6 engine. The interior is designed with premium materials and adjustable front seats with climate control for additional comfort. Cutting-edge safety features like the forward collision alert and lane keep assist have been shown to prevent collisions on the road. If you’re searching for a local Cadillac dealer near Raleigh, then look no further. Drop by Hendrick Cadillac Cary today. 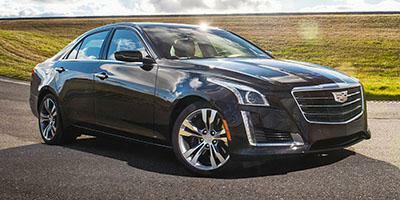 Search our inventory of new Cadillac CTS Sedan models to select the color and options that are right for you. If you wish to learn more about the buying or leasing options available at our Cadillac dealership in Cary, then simply call us at (919) 764-0345 or contact us online. We will be happy to help you out.